Jamaicans and the global Reggae music community were rocked with the sad news of the passing of master “Lovers Rock” singer and songwriter Gregory “Cool Ruler” Isaacs on Monday October 25th. Isaacs died in his London home early that morning after losing his battle with lung cancer. 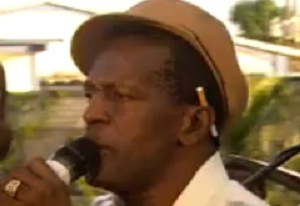 The reports on his passing carried by media entities around the globe serve as testimony to the significant impact Gregory has had on the course of Reggae and Jamaican music. Coverage of his sad passing has been carried in such publications as “Rolling Stone” and “Yahoo Music”, just to name a few. His impact on the world of popular music was very far reaching, as I was also able to watch coverage on his passing on the TV evening news while sitting in the lobby of the Ran Hotel in Ouagadougou in Burkina Faso, West Africa. The “Cool Ruler” as he was affectionately called, can be credited for single-handedly creating what became popularly known as the “Lovers Rock” sub-genre of Reggae music, and his very dapper stage presence, with his trade mark felt hat, became a significant feature of his live performances. Gregory’s song writing mastery is unquestionable. One only has to check the lyrics of some of his master pieces such as “Night Nurse”, “Soon Forward”, “Hard Drugs” and “All I Have Is Love”. His impact on the development of Reggae music and its popularity in the European market in particular is phenomenal. News of his recent passing has resulted in a significant rise in sales of his recordings in that market, placing his albums in no less than 17 top ten Reggae music download chart positions in countries such as Sweden, The Netherlands, Spain, France and Switzerland. On the US-based Amazon’s best-sellers Reggae charts his albums hold the number 3, 6, 8, 9 and 10 positions. Despite his very troubled personal life, characterized by numerous arrests in his earlier years, and a well publicized drug addiction, Gregory was truly loved by his colleagues in the music industry and reggae music fans around the world. I am one of them as he was without question one of my favourites. Gregory never made it to his 60th birthday, and was still a very in-demand stage performer at the time of his death. As I reflect on his life and works I must confess that I can’t help but ask myself the question – “Why have we lost so many of the top Jamaican music performers under the age of 60”? The list is a very long one, and in my opinion raises some cause for concern. Bob Marley (36), Dennis Brown (41), Jacob Miller (27), Peter Tosh (42), Joseph “Culture” Hill (57), Delroy Wilson (46), Lincoln “Sugar” Minott (54), Gregory Isaacs (59), Wycliffe “Steely” Johnson (47), Garnett Silk (28), all gone too soon. Gregory, we will miss you and love your music always. I express my condolences to your family, close friends and associates, as well as the mourning fans around the world. May your soul rest in peace, and your music live forever. For some reason, the NY Times reported that he was 60 years old at the time of his passing. National Public Radio (NPR) also did a tribute to him on the evening (Monday) of his passing. I missed an opportunity to see Gregory perform in March when he was unable to keep an engagement in the USVI. Freddie McGregor performed instead. Little did I know that it would have been my last chance to see one of my favourite artistes. RIP G. Isaacs. Your music lives on in our hearts and on our lips.